What do engaged students look like? And what are the ripple effects of engagement in those students’ lives and the lives around them? 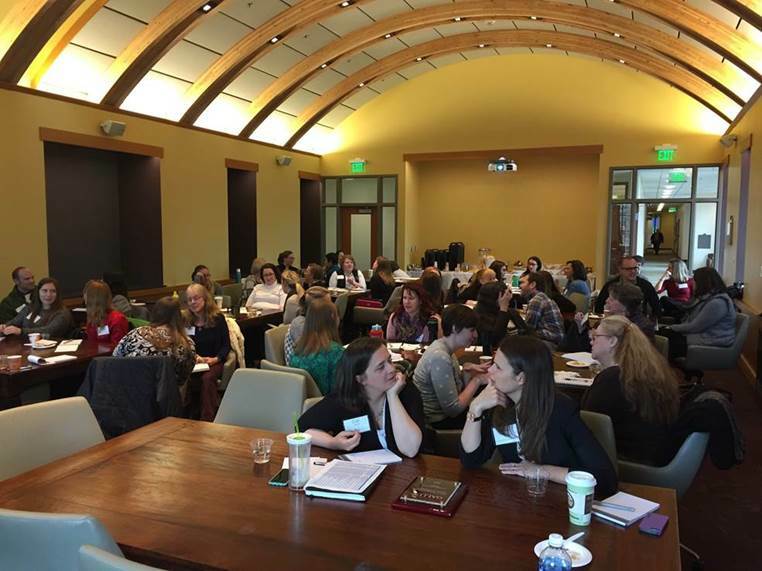 Recently, Gallup offered a Regional Strengths Education Event at CU-Boulder for about 50 educational leaders from the Colorado region. The half-day event -- presented by Tom Matson, Gallup’s senior director of executive leadership -- challenged educators to lead through times of change and build the best campuses and workplaces by facilitating essential daily conversations about strengths, engagement and well-being. For Cori, the event brought her full circle. She first met Tom seven years ago at CU-Boulder at Gallup’s first educator event at the university, and she regards him as a mentor. A student who works for Cori -- who has been involved in the program since she was a first-year student -- also attended the recent event, receiving encouragement to apply what she has learned about strengths to her life after graduation. The event was also a celebration of the impact of strengths on the campus of UC-Boulder, and it offered Cori and her colleagues an opportunity to reflect on the success of the program. Best-practice campuses have a clear vision of the impact strengths can have on engagement and well-being. They also have actionable goals. Cori wants students to see themselves as community members and engaged participants on campus -- and to have a “cornerstone experience that propels them into having [a] successful life.” For students, “strengths is a powerful tool in moving them towards [engagement] because it’s an opportunity to discover what they do best, to develop [their talents] -- to learn to grow in them, and then to apply them,” Cori says. Last summer, Cori collaborated with the university’s orientation office, which distributed access codes to all incoming students. Now, every year, 6,000 new students will learn their strengths and how to use them productively to improve well-being and engagement. And 1,000 staff and faculty members in the region -- at CU-Boulder and other campuses -- are involved in learning about strengths. Not only does Cori advocate for strengths as a strategy to improve student engagement and well-being, but she also hopes that staff and faculty will feel connected and have a rewarding experience at CU-Boulder. “I’m really committed to developing our staff and faculty as well, so that they aren’t just knowledgeable about [strengths] but that they understand how to use it to coach and develop students and themselves,” she says. This summer, Gallup will offer its Successful Strengths Coaching course at CU-Boulder. Cori sees this as an opportunity to gain more knowledge and understanding of how to support people one-on-one and in groups. Cori leads with influencing and relationship-building strengths and has used them to grow the strengths movement on campus. She integrates her strengths with her role as a supervisor to students and professional staff. And as a Maximizer, she loves to take what’s already working and build on it. “I really look to [people] who are different than me -- to bounce ideas off of [them], to ask for their insight or how they would do [something],” Cori says. She relies on their expertise and engaging in conversation with them to get new ideas or explore new processes. Cori’s top five strengths are: Empathy, Communication, Maximizer, Woo and Harmony.